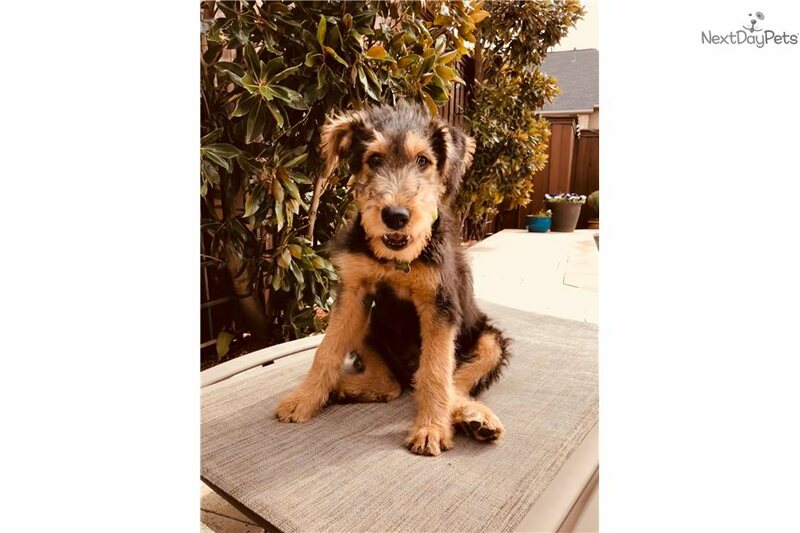 This Airedale Terrier nicknamed Florida Akc Male sold and went to a new family. Our pups are raised in our home with our family. They are socialized with children from the beginning and well loved. We pre-potty train using the Misty Method, and have had great success! 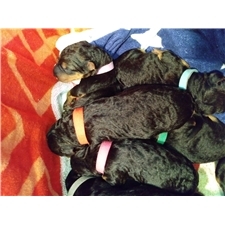 We use the Volhard Test to place pups in great homes based on their personalities. Please give me a call if you would like to meet the parents, Harley & Finn are our pets.